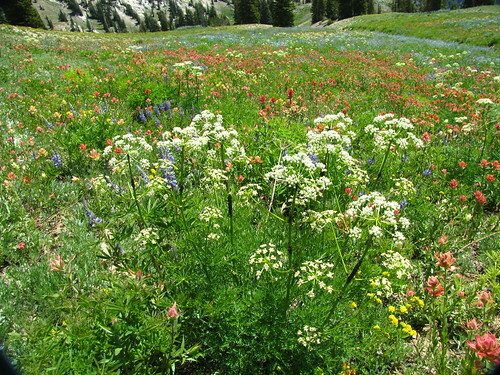 Lovage is a long lived herbaceous perennial herb that grows up to 4-6 feet tall. The leaves are a grey green and architectural in appearance. Lovage flowers yellow in an ‘Umbel’ and the seeds that follow can also be eaten or used in bread or as a spice. Lovage has a distinct aroma similar to celery but with Indian spice notes. All parts of Lovage can be eaten and the stems can be used as you would celery. Lovage is made into a wine liqueur and in soups, stews or as a roast vegetable. Lovage is believed to have medicinal properties for sore throats. A healthy Lovage (Levisticum officinale) plant can spread in a clump 3 feet wide and such a plant needs space perhaps at the back of a border. One plant can provide all the leaves and stems a family would need. If leaves are the main requirement give the plant the ‘Chelsea Chop’ and cut down flowering stems before they blossom so encouraging new leafy growth. 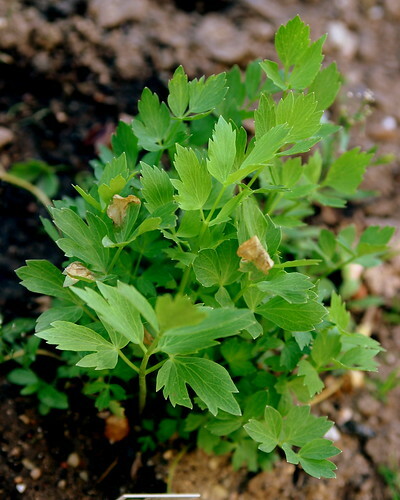 Grow Lovage from seed or root divisions from an existing plant. They like plenty of water and space to grow. Lovage prefers a sunny position.